From cradle to grave, papermaking uses a tremendous amount of energy and natural resources. First, trees are cut down and the wood is chipped into small pieces. Then water and heat, and sometimes chemicals, are added to separate the wood into individual fibers. The fiber is mixed with lots of water (and often recycled fiber), and then this pulp slurry is sprayed onto a huge flat wire screen which is moving very quickly through the paper machine. Water drains out, and the fibers bond together. The web of paper is pressed between rolls which squeeze out more water and press it to make a smooth surface. Heated rollers then dry the paper, and the paper is slit into smaller rolls, and sometimes into sheets, and removed from the paper machine. Americans are the heaviest paper users in the world. The average American uses about seven trees or an average of 700 pounds in paper, wood, and other products made from trees every year. This amounts to about 2,000,000,000 trees and more than 90 million short tons of paper and paperboard annually! This would be the same consumption for 6 people in Asia or 30 people in Africa. That’s a lot of demand, and that demand has a powerful impact. 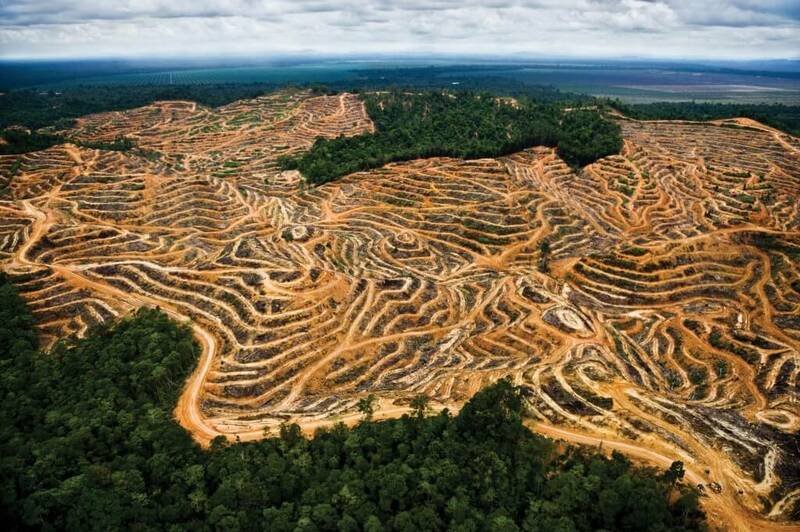 40% of the world’s industrial logging goes into making paper, and this is expected to reach 50% in the near future. Paper production is the third most energy-intensive of all manufacturing industries, using over 12% of all energy in the industrial sector. The paper and pulp industry is also the fourth largest emitter of greenhouse gases in the manufacturing sector. Yikes! Paper plantations are better than outright deforestation, but because plantation trees are planted in perfect rows, sprayed with herbicides and pesticides, and then harvested before maturity, these trees offer no habitat to wildlife and no benefits to the environment. If that weren’t bad enough, the use of toxic chemicals for pulping and bleaching paper, and the dangerous chemical pesticides and herbicides on fiber plantations lead to pollution that causes negative impacts on the health of paper company workers and communities downstream from mills. In fact, the paper industry is responsible for the release of persistent toxic pollutants like chlorine, mercury, lead and phosphorus into the environment, resulting in a legacy of health problems including cancers, nerve disorders and fertility problems. Chlorine bleaching is particularly widespread, which results in dangerous pollution, because chlorine is the building block of organo-chlorines, which include some of the most toxic compounds on earth, such as dioxins and furans. In the U.S., in order to meet Environmental Protection Agency rules, most paper is now “elemental chlorine free” (ECF), which has led to a 94% reduction in dioxins, however the EPA’s own rules state that there is no safe level of dioxin. And the dioxins already created in earlier years can persist in the environment and in our bodies. Dioxin is known to cause reproductive problems, including low sperm counts and endometriosis and is implicated in a range of other health problems including diabetes, hyperactivity, allergies, immune and endocrine system problems. Not only is paper-making a very toxic business, in some regions of the world, the land rights of indigenous peoples and rural communities are violated in the course of activities by pulp and paper corporations. When paper companies are granted concessions to log forests and/or establish fiber plantations without gaining the full and informed prior consent of local communities or indigenous peoples with customary rights on that land, this is an abuse of the land rights of those people and communities. Unfortunately these abuses are far too widespread. All in all, paper has a very heavy footprint. Though paper recycling rates in the U.S. have increased in recent years, paper still represents one of the biggest components of solid waste in landfills—26 million tons (or 16% of landfill solid waste) in 2009. Approximately 1 billion trees worth of paper are thrown away every year in the U.S., and commercial and residential paper waste accounts for more than 40 percent of waste going to the landfill. When paper decomposes in a landfill, it releases methane, a greenhouse gas 23 times more potent than carbon dioxide. Eliminating this paper from our waste would greatly reduce methane emissions and nearly double the lives of current landfills. Like food, paper has no business in a landfill. 4,100 kilowatt hours of electricity—enough energy to power the average American home for six months! It really pays to recycle paper and use recycled paper products! But let’s remember that recycling comes last in the triad of Reduce, Reuse, Recycle. Recycling is a last resort. Recycling is what we do with something when we have exhausted all opportunities to redesign, reuse or repair it, or to simply do without it altogether. As a last resort, recycling is better than a landfill or incineration for sure. But we shouldn’t believe for a second that recycling will turn things around environmentally. To make a difference for the planet and the climate—and to save a lot of money too—reducing your “paper footprint” is the only way to go. 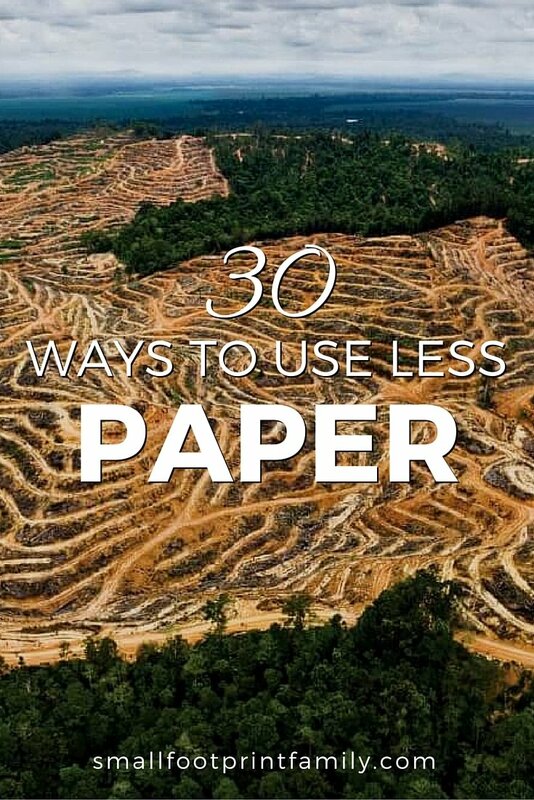 By using less paper, you can reduce your impact on forests, cut energy use and climate change emissions, limit water, air and other pollution and produce less waste. Reducing your demand for paper will also help lessen the social impacts and human rights abuses linked to paper production. Using less paper also helps ensure we use only our fair share of the earth’s resources. Think how much better the world would be if current levels of paper production were used to make books for schools in poor nations instead of wasted on unnecessary office printouts and junk mail. Here are some ways you can cut your paper consumption for good and save a ton of money in the process. 1. Use cloth napkins. They come in lots of colors and prints, and add an elegant touch to even the most modest of meals—besides, aren’t you worth it? I use a different color for every member of the family, and unless someone makes a big mess, I only wash them once a week. 2. Use rags or kitchen towels instead of paper towels. I’ve had the same set of 10 kitchen towels for more than 8 years now. 3. Avoid using paper plates and cups. Use durable, washable ones if you need something for a social occasion. (I keep a large set of cheap mix-match plates from the thrift store for BBQs and parties, but you can also ask people to bring their own plate and cup too!) If you must use paper plates, try to buy the type made with recycled content. 4. Buy bulk foods using your own reusable containers rather than buying packaged foods at the grocery store. Join or start a buying club and save even more paper and money! 5. Use your own reusable bag at all the stores you go to (not just the grocery store) and skip the paper bags. Here’s one way to remember your reusable bags. 6. Use reusable coffee filters (metal mesh or unbleached cloth) instead of paper ones. (Where to find online.) White-paper coffee filters bleached with chlorine are not only bad for the environment (the paper mills that bleach the filters dump wastewater containing dioxins into waterways), but some of the chlorine and dioxins can end up in your coffee. 7. Use a handkerchief instead of tissue. 9. If you’re feeling really gung-ho, switch to “family cloth” or washable cloth wipes in lieu of toilet paper. Using family cloth is not only a major money saver and tree preserver, but cloth wipes are way, way more comfortable too! Here’s how to do it in a way that isn’t gross. 11. Use cloth diapers instead of disposable ones. The paper and wood pulp that go into disposables and their packaging make them not only a huge waste of trees, water, oil and energy, but they are also a vector for toxins against your baby’s skin and an incredible waste of money. Don’t worry about washing cloth diapers; it takes far, far less water and energy to wash cloth diapers than it does to produce, transport, and then dispose of billions of disposables every year. 12. Use a white board or the Notes application on your phone for household lists, notes or announcements. 13. Change your bills to “paperless” and pay them online or by phone. Most companies will make this easy for you to do since an email is a lot cheaper than postage. You can also set up automatic billing, which should be even lower stress (assuming that you can pay them) since it just automatically debits your bank account at billing time. Ask for paperless reports from credit cards and banks as well. Most banks offer this service through their websites or phone support. 14. Save online receipts in a folder on your computer. Print each receipt to a file (often PDF, RTF, etc. ), then place all the files in a folder. There are many print-to-file techniques available, though they depend on your computer’s operating system and setup. 15. Try to stop as much of your junk mail as possible. Junk mail is responsible for the waste of at least 100 million trees a year, not to mention all the water, oil and energy that goes into producing something that just ends up in the trash. Here’s how to reduce the junk in your mailbox. 16. Re-use one-sided paper for notes, sketches, etc. You can even reuse paper from the recycling bin for this. Always use both sides of pieces of paper when you can. 17. Be frugal about magazine subscriptions, newspapers etc. Many newspapers and magazines have online versions, and often the online subscription is cheaper than the print version. 18. Unless you need a particular book as a reference on your bookshelf (like a recipe or how-to book), consider buying only digital books and reading them on an e-reader. Digital book-reading devices and ebooks have come way down in price, making it possible to save trees and have a vast library without having to pack dozens of boxes of books every time you move! 19. Bring a thermos or ceramic mug to the office and use it for coffee instead of disposable cups. Also bring a glass or water bottle to use at the water cooler. 20. Skip the paper bags, plates and napkins at lunchtime, and bring a reusable lunch bag, dish and cloth napkin to work. 21. When buying paper, buy recycled when you can. Try to get the highest “post-consumer content” percentage available. 22. Think before you print. Do you really need to print it? Many people have the habit of just clicking the print button whenever they want to read something. This is incredibly wasteful. Reading on a screen isn’t perfect either, but it doesn’t waste paper needlessly. If you have trouble reading on a screen, try enlarging the font in your browser preferences. 23. If you only need one page of a document, only print that. This is often very easy to do in the “Print” menu of whatever word processor (or Internet browser) you are using. 24. When printing a web page, copy and paste the text into a word processor so that it is formatted correctly for printing. Some websites even have a print button that will format the page for you. Printing webpages “as is” often prints a lot of junk that you don’t want, and can also use up expensive colored inks. 25. Print on both sides of the paper using the “duplex mode” on your printer. Most modern printers will do this. 26. Adjust margins on your documents so they take fewer pages to print. A smaller margin of .75 inch is becoming more common. 27. Use Google Docs, Trello, Dropbox or other software that allows you to collaborate on projects digitally instead of using paper. It is even possible to do editing and collaboration using standard word processors. For instance, you can use “Track Changes” in Microsoft Word to put editing marks in documents, and view the editing changes that have been made by other people. 28. Use email rather than paper mail whenever you can. Store your files electronically, instead of on paper, and invest in good backups. Most businesses and even governments are in the process of transferring over to electronic services. This will drastically reduce the costs of postal service as well. 29. Use a USB data stick, also known as a “thumb drive,” to move around or share electronic documents rather than printing them. Encourage people to bring their reports to meetings in electronic format, and for attendees to bring electronic storage of their own (or share via an Internet-based document storage). Many companies are utilizing an “intranet” now, allowing them to securely distribute documents to company employees only. 30. Don’t put your mailing address on your business cards; only put email, website (if applicable), and phone. This forces people to contact you through these electronic mediums. Saving paper in your home, school or office not only conserves forests, energy, soil, water and air, it can save you a ton of money too. How else are you saving paper in your home? This article was excerpted from my book Sustainability Starts at Home – How to Save Money While Saving the Planet. 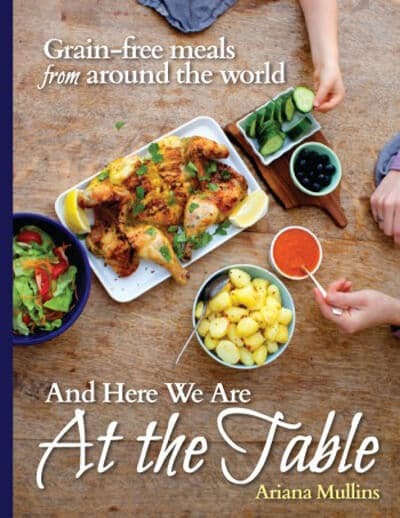 For more money-saving, planet-friendly tips, check out the book by clicking below. Infographic created by Esker, Inc.
There’s another simple way to reduce or eliminate the use of toilet paper (which is responsible for much of the destruction of boreal forests) that is more sanitary as well. Keep a pitcher or other container of water handy, pour some in your hand and splash, or wipe as required. Use a towel for drying. If you’re installing a new toilet consider a bidet or a spray hose. Great article Dawn. While most know that the use of paper depletes natural resources, few make any real efforts to conserve it. Paper can be recycled and reused, which goes a long way in environment conservation. I worry about he environmental impact of electronic alternatives. Also, what about initial investments needed? I have one for people with kids, especially homeschoolers or kids who like workbooks. Instead of buying multiple copies of the same workbooks for all your kids, tear the pages out and put them inside of page protectors in a binder. Have the kids use dry-erase markers so they can be wiped clean and reused. Wow, this is a very comprehensive list of paper saving measures. I appreciate the statistics relating papers impact on the environment.